Rick Yancey’s third Monstrumologist book, The Isle of Blood, is my favorite in the series so far. I expected ghastly creatures, vile dissections, and the sick thoughts of morbid men — as usual — but I wasn’t prepared for the frightening transformation of a small boy. 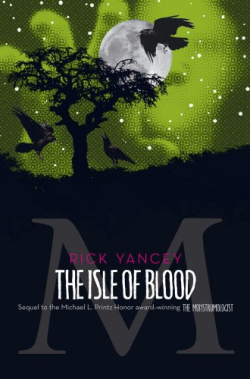 The Isle of Blood is, from start to finish, one of Yancey’s best. I found the previous book, The Curse of the Wendigo, a little slower paced as it focused more on character than action. This novel maintains the quality of Yancey’s signature descriptions, so gruesome and rich in detail, but also seamlessly combines internal character developments with nonstop, heart-pounding events. I was a little disoriented because The Isle of Blood doesn’t begin where I thought it would, given the previous novel’s cliffhanger. But I quickly traded confusion for fascination as a mysterious “nest” of human flesh and matter arrived on Dr. Pellinore Warthrop’s doorstep, along with the desperate man delivering it. This nidus, as it’s called, curses all who so much as touch it or someone afflicted by it. It blinds them, turns their flesh to rot, and carves their souls hollow. They become hungry creatures, servants of a foul master. Will Henry, the doctor’s young assistant, almost becomes one. Warthrop himself is absent for a portion of the book. He trots off in search of the source of the nidus, the magnificum, the Faceless One, with an eager colleague who seems to know much more about the doctor and his secrets than he should. But The Isle of Blood is Will Henry’s tale — a look at what envy and loneliness can do to a boy so consumed by the obsessions of a man who is the closest thing to a father he’ll ever know, only the role of parent and child are reversed: Will Henry too often the parent, Warthrop the child. They’ve become so tied to each other that even a taste of a normal life cannot free Will Henry or save him from his descent into darkness, where he chases after Warthrop and becomes lost himself. Once again, Yancey continues to deepen the strange and pained relationship between Warthrop and Will Henry — their obligations and responsibilities toward one another, and their guilt. Warthrop, so cold and unlikeable, becomes a warmer and more human character in this book while Will Henry, only a boy, finds monsters in himself that never existed there before. Yancey doesn’t shy away from them; sadly, neither does Will Henry, who, having never enjoyed such freedom, embraces their sinister power. Yancey’s real accomplishment of story here is the way he dissects the truth and meaning of monsters: Are the ones we hunt in the world, the creatures that go bump in the night, more horrible than what man himself is capable of? What does that dark compulsion to find them, that life-long pursuit of them, do to the mind — to the fertile imagination and fragile psyche of a young boy? 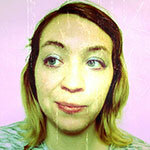 What monsters do we create in the search for monsters? When do the footsteps we follow become our own?